Other Products by Body Science. Search other Essential Amino Acids products. BSc BCEAA Ultra supports the repairing and building pathways of the body. It contains a blend of the 9 essential amino acids with a higher content of the 3 BCAAs to maximise mTOR activation and improve bio-availability. With only 18 calories per scoop, and 1/2 gram of carbohyrates, this product is perfect for ketosis enthusiasts or periods of fasting to prevent muscle catabolism. Essential amino acids have countless roles to play in the human body. The EAAs are support general health and keep our muscles and soft tissues, like tendons and ligaments, strong and healthy. BSc BCEAA Ultra may be used towards the beginning of your training session. Alternatively, if your session is going longer than 45min, you can sip on it for the duration. Essential Amino Acids, and BCAAs, help to keep us anabolic while we exercise. We can become quite catabolic during moderate to high intensity exercise due to the fact that we produce stress hormones, such as cortisol. The aim of cortisol is to break down muscle tissue in order to keep the rest of our body topped up with amino acids. This is where Body Science BCEAA Ultra comes into the equation. By increasing our blood essential amino acid value with this powder, we can counter the catabolic effects of stress hormones. EAAs and BCAAs are also great for use between meals, to keep amino acid levels topped up. They may also be taken after exercise to support recovery. 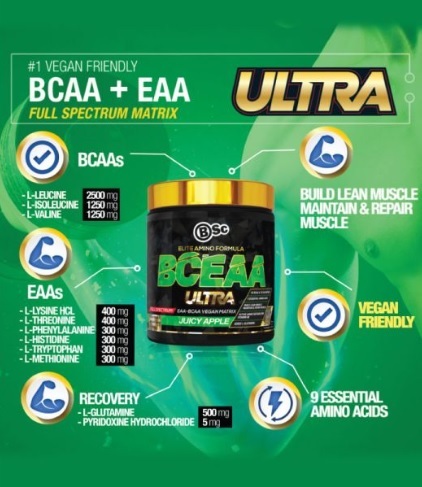 BSc BCEAA Ultra contains all of the amino acids the body needs to construct new muscle proteins. In fact, it contains more than enough, as tryptophan is not incorporated into muscle, but instead is needed for brain and gut health. The rest of the non-essential amino acids that are found within muscle proteins are easily recycled from muscle breakdown. BSc BCEAA Ultra is a smart formulation. 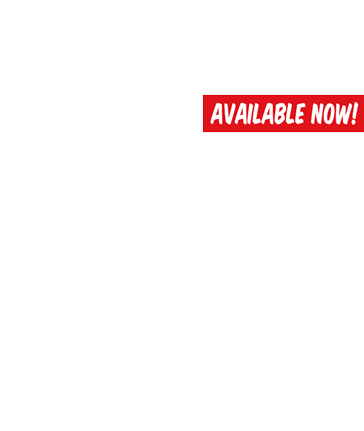 Even though BCAAs are technically contained within EAAs anyway, this product's name makes it simple for anyone not up on their amino acid classification to understand what it's all about. There's certainly no harm in that! Body Science pride themselves in putting together efficacious formulations backed by science, and in a clean and banned substance free way. This product is certainly no exception to these first-class rules. 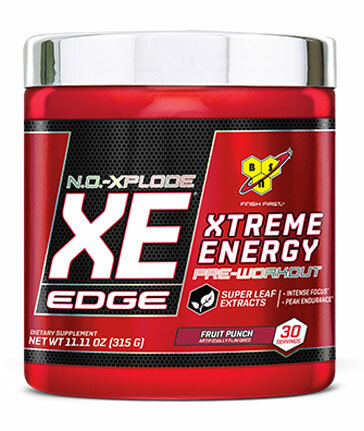 Mix 6g (3/4 Scoop) into 200ml Cold Water and consume. Alternatively, try 12g (1 1/2 Scoops) with 400ml Cold Water or to taste. 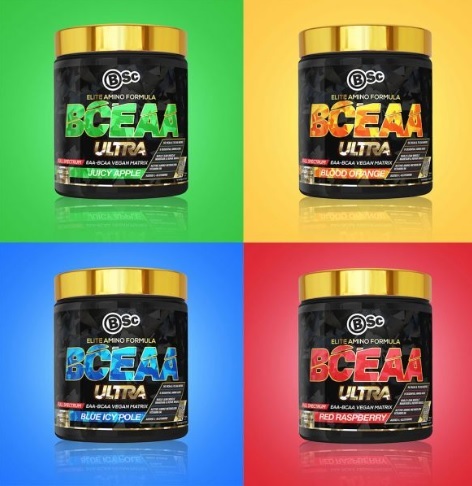 BSc BCEAA Ultra INGREDIENTS: L-Leucine, Citric Acid, L-Isoleucine, L-Valine, L-Glycine, L-Glutamine, Natural Orange Flavour, L-lysine Hydrochloride, L-Threonine, L-Phenylalanine, L-Histidine, L-Tryptophan, L-Methionine, Beetroot Powder, Sucralose, Lemonade Flavour, Pyridoxine Hydrochloride, Colour (110).